It was a highly strung day for the M-Class fleet on Sunday 10th February after an almost two month break from racing. 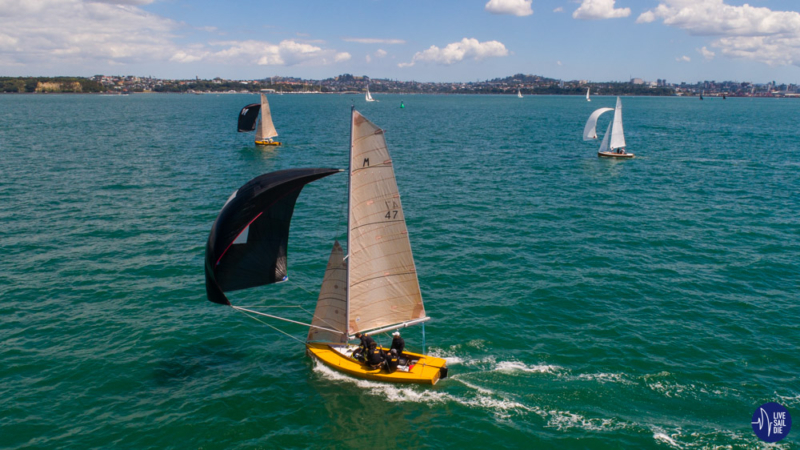 The boats have taken up a new residence in front of the Hyundai Marine Sports Centre, with the fleet claiming the best real estate on the block. Rigging banter was in full swing and then it was time to launch. Pushing the boats down the ramp, everyone was eager to get out, and as Menace and Marksman sailed away, Matara was having all kinds of trouble with the centre plate that just wouldn’t budge. After several minutes, which felt like hours and a phone call to the boat captain, the call was made to get Matara out of the water, derig and take advantage of Mach One, who wasn’t able to find enough crew to race for the day. Menace however had other thoughts. 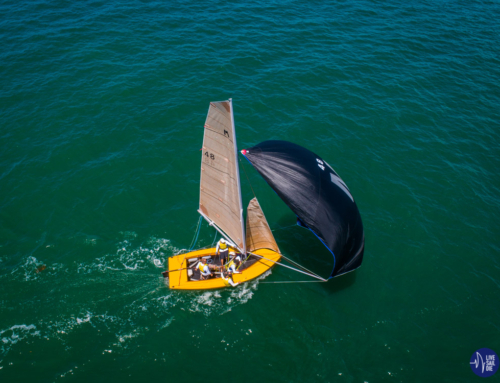 Meanwhile Matara was now Mach One with Matara sails and was ready to race. After a clean start, Matara looked to be back on form, leading Menace and Marksman around the top mark. However a bad call to stay high in the outgoing tide meant that Matara handed the lead on to Menace, with Marksman now in second. “It was a terrible day for us, results wise. The banter was on form, but our sailing was rubbish.” Matara. Menace now has a 10 point lead on the fleet. Matara has managed to hold on to second overall on 25 points, with Marksman creeping closer on 28. Marksman has taken the overall lead on handicap. 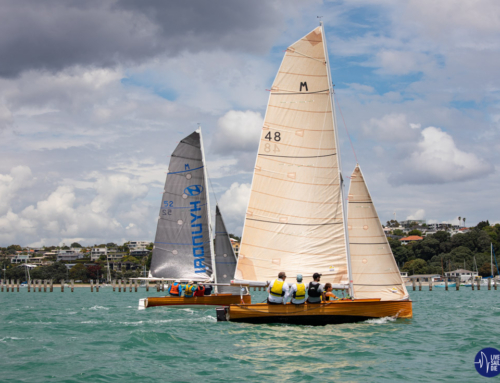 Racing continues for the M-Class fleet on Sunday 24th February.